Whenever there is disunity in the church, danger is on the horizon. Disunity is very seldom because of external forces or persecution, rather disunity comes because of a personal agenda by one or more persons in the body of the Christ. Disunity happens because we take our eyes off the primary mission of the church. Paul was concerned about a lack of unity creeping into the Philippian church and he starts by writing, “if there is any encouragement – In Christ…” remember being in Christ is our position as Christians, this is our standing before God and being In Christ is one of the primary ways Paul describes what it means to be a Christian. This is our vertical resource, we experience encouragement because of communion with God through the Holy Spirit. This is the first and primary position for unity – are you In Christ? Paul continues and says, “if there is any comfort from love…” When you come to know Jesus Christ as personal Lord and Savior, your attitude changes towards other people. The fruit of the Spirit listed in Galatians 5:22, the first one mentioned is Love, which is a natural outflow of a life controlled by the Holy Spirit. The Greek word for love used here is a love that is governed by a willful decision to seek the highest good of the other individual. Verse 1 ends with, “any affection and sympathy”. The bottom line is that because of the tenderness, mercy and compassion that we have received from Christ, we should be displaying this to one another. To not have concern for others, is a very clear indication that a person is not in a right relationship with Jesus Christ. So, what is the result of unity? In verse 2 we read that the first result of unity is joy. Paul was overjoyed by their response because he knew that as the Philippian church grew in unity, they would become more effective as a church, being used by God to proclaim the good news of Jesus. Paul was joyful because he knew that they would be like-minded. Unity is not a temporal goal, where we have a great meeting and then we experience some warm and fuzzies and then we hope to remain in unity. Not at all, we remain in unity, because the message of the Gospel is what binds us. We have a common message, we have the same Holy Spirit, thus we have unity. This does not mean that we will never have disagreements. It is quite normal to expect differences of opinion on certain methods of church activity, but we never compromise on the essentials of our faith and the truth of the Word of God. And when we do have differences of opinion, the governing rule must be love, the preferential love that always seeks the highest good of others. Verse 2 ends with two more descriptions of unity, “being in full accord and of one mind”. These two descriptions are not simply tagged on by Paul, to be in full accord and of one mind means that the church knows their purpose and mission. At Grace Point we have the 4 pillars that we talk about; Worship, Word, Evangelism and Compassion, this is what we exist to do. The mission of the church always superseded our personal preferences, that is Holy Spirit unity. As we come to verse 3, it seems that Paul really gets down to the heart of the matter, and he begins by launching into a list of things that they cannot do if they are to experience unity. The first sin he attacks is selfish ambition, “Do nothing out of selfish ambition or conceit”, conceit is vain glory, this is the person who makes amazing claims about themselves and their ability, while at the same time putting others down (see Proverbs 27:2). Our culture teaches people to promote themselves, but this does little to create a platform for unity. The verse continues, “but in Humility count others more significant than yourselves.” This is the culture of the Kingdom, Jesus put others first when he died on the cross for our sins. If we would display humility, we would see unity and love flourish in every relationship in our lives. Johnny Hunt said, “the Christian in right relationship with the Lord treats others as if they were his superiors” that is the key to this verse and the key to living as a part of the body of Christ (see Matthew 20:26-28). In the final verse Paul explains humility, “Let each of you look not only to his own interests, but also to the interests of others” A follower of Jesus must be counter culture, they should stop looking at themselves, their comforts and their own self-interest and look out for the interest of others. This is the normal Christian life. Our social media culture has created a generation of people who only look at themselves. But the Kingdom of God tells us to look out for the interests of others, to have genuine concern for others, even promoting the interests of others (see John 13:35). This is so much bigger than simply getting along in the church. This is spiritual warfare, we need to fight to prefer others, we need to wrestle with our flesh to look out for the interests of others. Why is this spiritual warfare? Looking back to the original fall of Satan, his primary sin was pride. The sin of pride and self-seeking is the root of all sins. So, to walk in the opposite spirit of humility goes against the spirit of this world. But it is worth it, for the unity of the church and for the glory of God. The greatest threat facing the Western church is not persecution or opposition, rather the greatest threat to the church is comfort. Our culture resists anything that is inconvenient and produces discomfort and as a result, when our Christian walk becomes uncomfortable, we shy away and look for an easy road. But that is not what the Christian life that we are called to. If comfort is our goal and our pursuit, we will never attain to the full measure of the calling of God on our lives. In Philippians 3:27-30, we see three characteristics of the New Testament church that applies to us today. 1. The Unity of the church (Verse 27). 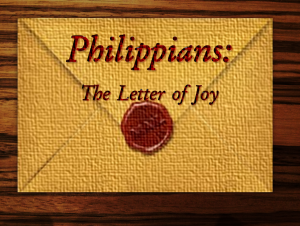 Paul was writing to another Roman city, the Philippians were part of the Roman Empire, and as such, they had to live and abide by the rules of the Roman authorities, but more primarily they were citizens of Heaven, and ought to be living according to the laws of that Kingdom (Philippians 3:20). When we become followers of Jesus Christ, we take on a new citizenship and we commit to living a life that abides by the principles and laws of that citizenship. Whether we like it or not, the world is watching our walk to see if we behave as citizens of the Kingdom of Heaven. It has been said that the most powerful influence on an unbeliever is not a book or a video presentation, but rather it is the consistent life of a believer. Paul is writing about church unity; the alternative is disunity which results in a church that is unable to accomplish that which God has called them to. Church unity is everyone’s responsibility, unity comes about as we serve, pray and worship together, uniting around the mission of the church. In this verse, Paul writes something that seems to go against our 21st century church culture, “with one mind striving side by side for the faith of the gospel”. Striving together is a term that speaks of an athletic contest or a sports team standing shoulder to shoulder defending their goal line. This is the picture of the church that is standing firm and close, protecting each other and working together. In the church, there can be no passengers, we are together in a spiritual war, without unity there is a weakness that the enemy will use to his full advantage. Gossip, slander and apathy are weaknesses that will prevent unity and prevent us from taking the ground that the Lord has called us to take. Are you all in? Are you prepared to sacrifice your personal preferences for the purposes of Jesus in His church? 2. Opposition to the church (verse 28). This is another one of those comforts that we wrestle with in the western church. We have grown accustomed to the church being a respected part of society. However, you may have noticed that this is not the case in the twenty-first century. The Bible is full of warnings to us that we will be hated by the world, Jesus himself spoke about this in Matthew 24:9. Does this mean that we must live in fear, cowering in the corner? Absolutely not, as we stand firm, courageous and united, those who oppose us and what we stand for, will be convicted by the Holy Spirit of their own spiritual condition. In Acts 16, we read about Paul and Silas being in prison in the Philippian jail. After the earthquake struck and their chains had fallen off the jailer was about to kill himself because he thought his prisoners had all fled. However, Paul called out to him and saved his life, resulting in the jailer and his whole family becoming followers of Jesus. Why did Paul and Silas not escape? Because they were not afraid, they had no fear of their opposition and they were proclaiming the Good News of Jesus during their suffering. As Christians we don’t need to be afraid of those who oppose us because we are Christians. As we live our lives as Christs ambassadors, expect to encounter opposition. 3. The suffering of the church (Verses 29 and 30). We know that salvation is a free gift from God, we cannot earn it, we simply receive it. But along with the gift of salvation, Paul says that we get the gift of suffering. Have you ever received a gift you didn’t want? Suffering is when things we desire, love and enjoy, are taken away from us. We suffer when we lose a loved one, our health, our career or we lose our home in a tragedy such as a storm or natural disaster. Suffering comes because of situations that are out of our control. We don’t ask for suffering, but suffering is a very real part of life, even the life of a Christian. But how can suffering be a gift? Suffering becomes a gift when seeing and treasuring Christ above all else is your goal. Paul wrote this letter from prison, he was suffering and yet during his suffering he saw the purpose of God to spread the Gospel. There is a connection between suffering and the spread of the Good news of Jesus. If you profess to be a Christian and everything goes well in your life, the world does not notice that. However, if God allows you to experience suffering and you go through that loss with joy and peace and hope in Christ, the World will take notice of that because it speaks of a supernatural power in your life, the power of God. Job knew this, he experienced unimaginable pain and yet could say what he did in Job 19:25-26. God doesn’t waste suffering; will you allow Him to use your pain to bring glory to the name of Jesus? Have you ever been part of a team of people who share the same vision, share the same passion and are completely united together to accomplish a specific goal? Unity in the church is absolutely critical because we are in a spiritual war that has eternal consequences. Grace Point is a very diverse church, we have people from many different nationalities, races and socio-economic backgrounds, all of which make unity almost impossible. There must be a common bond, a reason for unity. What is our purpose for gathering as the church? Is it to come on a Sunday and spend an hour, participating in a worship service, is that the purpose? If that was the case, then it is not surprising why so many churches around the world are closing. There must be a bigger purpose that draws us together. The Apostle Paul writing to the first century church in Ephesus, made a plea for them to be united (see Ephesians 4:1-16). Paul begins this chapter by pointing out that there is an individual responsibility for unity. Paul makes it personal, “I urge you!” therefore no-one is exempt. And then in verse 2, Paul lists what looks like the fruit of the Spirit found in Galatians 5:22. 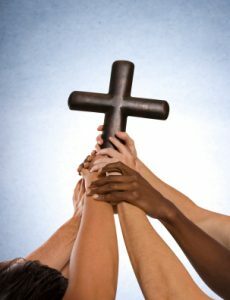 Daily submitting ourselves to the Holy Spirit, we will produce the fruit of the Spirit, that will in turn create unity. It starts with the presence of the Holy Spirit in our lives. And in verse 3 he reminds us that this will take effort, requiring us to lay down our own desires and submitting ourselves to the leading of the Holy Spirit. 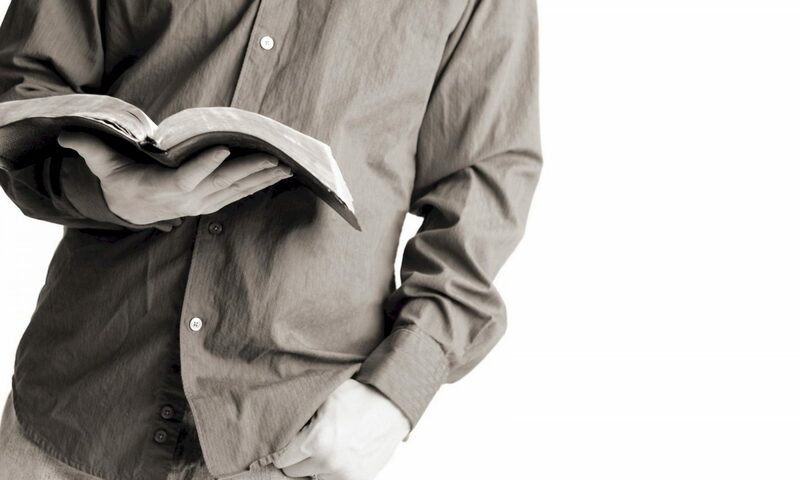 In these verses, he uses the word ONE 7 times as he draws attention to the Gospel. The unity of the church is already established, it was established in Jesus Christ. True unity is only found in the good news of Jesus Christ. (see what Jesus prayed in John 17:21-23). So, all this talk about unity and the will of God for us as a church, how does this work practically? Each of us has a part to play in this, no believer is exempt. Every believer has been given gifts by the Holy Spirit. These gifts have been given not for our own benefit and pleasure, but to be used to build up the body of Christ. These spiritual gifts are the same gifts that we read about in 1 Corinthians 12 and Romans 12. In verse 11 we read the beginning of a long sentence and we are frequently guilty of quoting only part of this sentence, as you will see. We read the Christ gave apostles, prophets, evangelists, pastors and teachers given to the church, but why? Verse 12 answers, “12 to equip his people for works of service…” While it is good, to be able to do good things, serve and bless out community, but what’s the goal of this service? Verse 12 continues, “so that the body of Christ may be built up”. So, as the church serves, it is built up. So, as we are equipped, we serve, as we serve we are built up, as we are built up, we achieve unity. Do you see the pattern? Unity is achieved by serving together. Verse 13 continues, “…and become mature, attaining to the whole measure of the fullness of Christ.” Paul is talking about spiritual maturity. There are many teenagers who are mature in their faith, while others who may have been in the church for decades, are still spiritual babies. As we work together in the church, we attain unity, as we are united in faith and action, we grow together and become mature. From Jesus, the whole body, the whole church is joined together by every supporting ligament. Every little part of the body is valuable, every part is important. As we see the value in each other in the church, we are built up in Love. Without the supernatural love that the Holy Spirit gives us for each other, we would never be drawn together. It is purely the grace of God and the love of God that holds the church together and builds the church. We can talk about unity and church growth all we like, but if it is not held together by the supernatural love that the Lord gives us for each other, we would never grow together as a church. And then we come to the final six words of verse 16, “…as each part does its work”. Every one of us is called by God to play a part in the ministry of the church. What is the ministry of the church? It is not to build a better building or to be a comfortable social club. The ministry of the church is the Great Commission, to share the Gospel message, to reach the lost, to disciple the new believers, baptizing them and training them to go and share the Gospel message. The church as the living Body of Christ, where everyone functions with their own unique spiritual gifts, will be very different than societies idea of a church. Society has the picture of the church that is static, boring, uniform, liturgical. This church will be a place where love is unconditional, charity abounds freely, where differences in race and age are celebrated rather than causing division. A place where we all serve one another in humility and grace, understanding that as we do so, we are contributing to the growth and the maturity of the body.